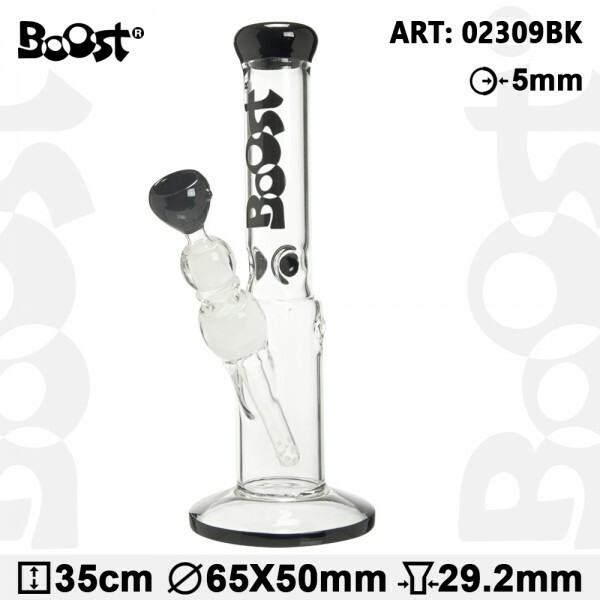 This Bong Glass Boost comes with a kickhole at the height of the socket that will offer you an alternative toke angle. Some ice noches will hold some cubes for cooling your smoke. The Boost logo features at the top of the tube.